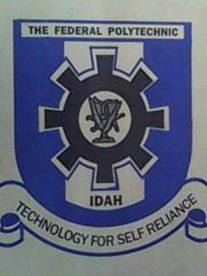 The federal polytechnic Idah also called FPI was established in 1977 under the then military government. Federal polytechnic idah kick operation the same year with just 222 pioneer students and ever since then the institution has been offering both National Diploma (OND) and Higher National Diploma (HND) programs to Nigerians. what is the cutoff mark of idah polytechnic, federal poly idah jamb cut off mark? This is the hot question in the mind of thousands of candidates who choose the federal poly idah as their choice of study. The Joint admission and Matriculation board JAMB has advised all polytechnics to accept just 120 to enable candidates who couldn’t meet up with various universities cut off mark apply for post UTME screening exercise. From our findings, we found out the the federal polytechnic idah didn’t stick or implement the directive from JAMB rather they had to pegged their cut off mark at 140. All candidates who got up to 140 and also choose the federal polytechnic idah as their choice of study can now purchase the institution post UTME form. If I Get Up To 150 In Jamb, And 60% In Utme Wil I Be Admited To FPI?